Before my baby was born, he’d already been to 5 countries. I mean, how is that for a world traveler!? Since getting pregnant, we’d visited family in the Czech Republic, taken a beach babymoon in Spain, campervanned it up in Iceland for a week chasing the Northern Lights, went back to the US for Christmas and, of course, currently live in Germany. I’m sorry, but this just grated on my nerves like no other. Don’t get me wrong. Will we travel the same way? Of course not. I mean, I don’t think the world takes too kindly to babies going cage diving with great whites or drinking all day at Oktoberfest. But does that mean that we won’t travel? I really, REALLY hope not! If there is anything I’m good at, it’s proving people wrong who like to make snap judgments of my lifestyle. So, you can imagine that the second we received his German birth certificate, we were running to the passport office. Whether you are travel junkies, like ourselves, or are ready for your first international trip with kids in tow, you obviously know you need a passport. But, are you finding the process a bit overwhelming and wondering how to get a baby passport at all? If you are in the military stationed abroad, or an Ex-pat living overseas, head on down to those sections at the bottom of the post specifically for you, but the steps and information needed regardless of where you live (From the US) is going to be the same. Depending on the misinformation of opening times to your local passport office or the level of hard-headedness of the government personnel you’ll be working with to receive a baby passport, this first step may or may not be one of the easier actions. On the other hand, if you had an almost 40 hour labor (yes…as in almost 2 full days laboring at the hospital!) that ended in a C-section, like me, then congrats….the hardest part of applying for and getting a baby passport is done! You can not apply for a baby passport until you have proper documentation that the kid actually is yours and that s/he actually does exist. Due to some language misunderstandings, it took us almost a full month to receive Lil B’s! Andy thought for sure the Polizei were going to stop us one day and question if Lil B really was ours. Luckily, this didn’t happen! * You’ll need to complete the DS-11 for the application for a child passport. When we arrived for our appointment, the government worker told us he couldn’t accept the form written out. I have searched high and low on the official government pages to confirm that the DS-11 MUST be completed online but have found NO information on this. In fact, on the official Travel.State.Gov Passport Page, it gives the option to “Complete by Hand” via PDF. Therefore, either just do it all online to begin with or call your local agency to see if this is required for you before having to fill out the darn thing twice! Tip: If you are a travel junkie, like us, and fully intend on still getting good use of your suitcases, even with a babe, check the box in the DS-11 Application for the passport book that has extra pages for visas and countrys’ stamps. Sure, a baby’s passport only lasts 5 years (instead of the typical 10 for adults) so you probably won’t need it, but hey, it’s free and better to get now instead of having to do this whole process (and pay again!) all over in just a few years. There are many required documents for baby passports. Ensure that you have every.single.one! Heading Out Into This Great, Wide World With Your Babe? Two, identical color photos that are 2 x 2 inches. Applying For a Passport For Your Wee Little One? PIN ME! 2) Take at least a bajillion photos in the hopes that ONE is acceptable. You can use your phone, but using a quality camera, such as our beloved DSLR Nikon will ensure a quality photo. Also, a DSLR type camera will allow for you to do quick clicks and take dozens of photos within seconds, just in case Baby decides to look decent for that one milli second, you can capture it! 3) Print off and bring several photo options that you think will work. That way, you are (hopefully) guaranteed that at least one will make the cut. 6) Even if the agency offers the service of taking the photos themselves, still do a few on your own. You can never predict when your little babe will be asleep, crying or making a poop face…all which are common baby practices but no-gos for passport pics! Different agencies and locations have different required methods of paying, so, as always, call the location you will be applying to before hand to ensure you have the right kind of payment. For example, some will ONLY accept cash or money orders. Others will take credit cards and checks. Yeesh, all that work so far and you haven’t actually even gone in to submit your application! Passport Agency: If you are a procrastinator (don’t worry, I don’t judge, I’m the queen of last minute-ness) and you need the passport in 2 weeks, you’ll have to expedite the process and apply at an official Passport Agency and have proof of immediate international travel. Depending on a multitude of variations, you can expect it to take anywhere from three to eight weeks to receive your child’s passport, so plan accordingly if you know you have an upcoming trip where one will be needed. Passport Acceptance Facility: Use this handy-dandy search locator for a facility near you . Many (but not all) court offices and post offices can process applications, but again, check before packing up you, baby and spouse just to be told they don’t do them. *** When finding a location to submit your passport application to, this might sound like a no-brainer, but check (and then confirm with a call!) the times for passport applications. They are often not the times of the post office (or other opening times of whatever facility you are applying at) and I’ve heard numerous reports that the online tracker isn’t up to date on correct opening times. Again, save yourself the time, hassle, headache and crying baby and just call ahead of time! Step 8: Plan Your Trip! Now that the stresses of getting the passport are over, start dreaming, planning (or often in my case, stressing ABOUT planning! Tip-wine helps!) and getting ready to show your baby all the amazing things this world has to offer! (Want some inspiration for your trip? Have you checked our our Pinterest Boards all about traveling!?) Need some tips on staying sane while traveling with kids? Here are some fantastic tips. Alright, I hate to be a cop-out, but if you are an a ‘Murican living overseas, the easiest way to know EXACTLY what you need to do (every country will have varying rules, locations, etc) is to simply call your local embassy or consulate. This is the only location that you will be able to apply at and it is better to just get the right info from the beginning. With that being said…. 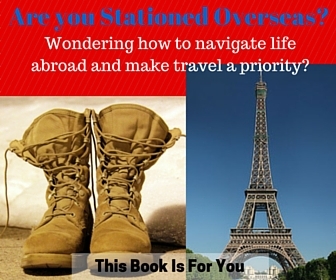 If you are military stationed overseas, you will need all of the above. However, there will be an office/ facility on your Post or Base that will handle everything for you, such as your Community Service office. You’ll need an appointment, all the required completed forms and documents but instead of having to go to the consulate or embassy, they will send in everything for you. Again (and sorry to be a broken record) just call the correct office at your installation to ensure you have everything you need to know. Have you applied for a baby passport? What was the most difficult part of the process that someone else can learn from your experience? This looks like useful information but I’m a bit confused about why your baby had a German birth certificate. Are you from Germany (and have now moved to the US)? Or were you visiting Germany where your baby was born? Haha I recall getting my son’s first passport when he was 8 months old (Aussie passport). The photo was the funniest part (at least he had neck control by then). The rest of the bureaucracy seems overkill for someone so tiny, who will change so much in the next few months (and especially within the next five years!). oh well. That first passport though… it’s a ticket to freedom and adventures! It should never be underestimated in value. Great post! We just used it for the first time flying and they barely even looked at it!!! The least they could do is have there be some verification of parental relationship or something. Talk about an expensive souvenir! And yes, even just from applying, he already looks totally different!! Haha I had to laugh out loud at number #1 😀 Thanks for the information – I’ve always wondered about this! ha, as a brit with no kids, this isn’t something I’ll ever need – but I LOVE your ‘which photo picture’! Even if I don’t have a baby yet, this is such a helpful post! Definitely makes it easier with your super detailed guide. I love that you haven’t let having kids stop you from traveling! I bet your little one will have some awesome pictures to look back on they grow up! So… where’s the baby going to travel next?